Toyota dealership sold me a used vehicle with a 3 month/ 3,000 mile limited (drivetrain) warranty. A few weeks after I'd had the vehicle i noticed the front pinion seal had been leaking (how this sneaked by their inspection is beyond me), however, they fixed the seal no problem. My wife in turn attempts to use the four wheel drive on a snowy day and blows the front differential out 4 days over our limited warranty. The dealer will not stand behind the vehicle since it's 4 days over the warranty even though their mechanics were inspecting and replacing in that mechanical area a month or so earlier. This dealership runs a scam of a business. 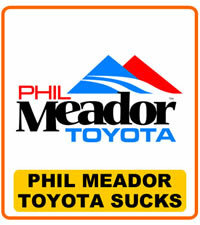 Toyota makes and sells vehcles that have no business in North America. They need to take their scam back to their own damn country and quit feeding off our economy.